Moyshe Shtarkman. Photo courtesy of Reeva Mager. His Selected Writings, a thousand pages long, is just a fraction of the whole. He covered the Ba’al Shem Tov and critiqued the Sweatshop Poets, traced the history of anarchist newspapers and explained the origins of Hanukkah. He was a columnist, lecturer, critic, translator, historian, and bibliographer—among other things. He served as president of the Yiddish PEN club and secretary of the Yiddish Writers’ Union; was on the Board of Directors at the YIVO Institute for Jewish Research and the Congress for Jewish Culture; and directed Yiddish-language publicity for the United Jewish Appeal and the Federation of Jewish Philanthropies. In his later years, he helped edit The Lexicon of Modern Yiddish Literature, whose eight exhaustive volumes, published across a quarter-century, profiled the life and work of more than seven thousand modern Yiddish writers—single-minded testimony for a tradition in twilight. The volumes were published in alphabetical order, so it was only the eighth and final volume, printed six years after his death, that contained his own entry: Moyshe Shtarkman (1906-1975). Specialization is a luxury that smaller cultures can rarely afford—instead, everyone lends a hand. Absent government support or a Culture Industry, activists for small-scale, stateless cultures are effectively on their own. Borrowing, translating, and adapting from other cultures or a culture’s own “folk sources” can only go so far. Reference works, periodicals, websites, research institutes, performance venues, elements such as a standardized language and a common orthography that we take entirely for granted—creating a “modern culture” requires an enormous amount of work, often unpaid and almost always uncertain. Enter the kultur-tuer, a “culture doer,” committed to developing and supporting a communal cultural infrastructure. An ordinary (if high-register) word in Yiddish, it has no clear English equivalent. To be a writer or an artist is not enough. “Cultural activist” comes close, but tellingly tends to denote a minority culture seen through English-language eyes. A public intellectual expounds on the issues of the day, a thought leader coins and repeats fashionable nonsense (“Disrupt!” or “Lean In!”). But a kultur-tuer is on the ground, engaged in the day-to-day moments that materially and intellectually extend a tradition. Big egos need not apply: soliciting articles is no less important than writing them, organizing conferences no less vital than keynoting them. A good kultur-tuer keeps up a massive intercontinental correspondence—how else do you hold together a Yiddish Republic of Letters stretched thin as eruv wire from Melbourne to Miami, Buenos Aires to Brooklyn? The term itself seems to date from the Jewish cultural ferment that followed the First World War—“because without cultural organizations,” says historian David Fishman, “there can’t be any kultur-tuer.” It was likely coined by analogy with the older term klal-tuer, “someone who occupies himself with the public good and with social issues” (in Fishman’s words) and suggested an implicit parallel to gezelshaftlekher tuer, the kind of community activist who powered a whole network of communal organizations—in America, the landsmanshaft groups, burial societies, free loan societies, and Jewish hospitals, which social democracy and new consumption patterns later seemed to make obsolete. What klal-tuer and gezelshaftlekher tuer were to the realms of community and society, the kultur-tuer became for the newly valorized and autonomous zone of culture. 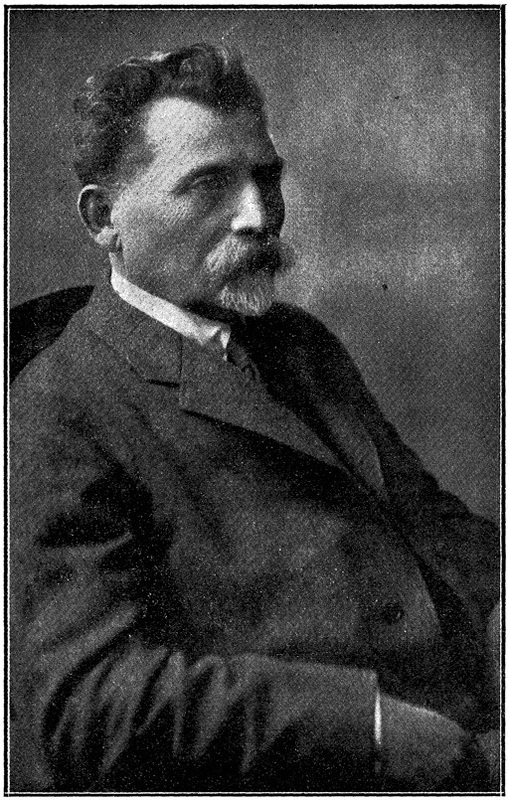 “By the 1890s,” writes historian Kenneth Moss, Jewish literati in Eastern Europe “had begun to articulate the idea of a separate and encompassing Jewish culture in dialectical relationship to the Russian kul’tura, German Kultur, and Polish kultura in which they were steeped.” These “culturists,” as Moss calls them, soon began launching schools, journals, projects, and institutions on a remarkable scale — the Yiddishist Kultur-lige (Culture League) and the Zionist Tarbut (Culture) were two leading examples. They aimed to create and disseminate modern Jewish culture, not instrumentalize it for political purposes or create an intellectual elite. To implement this program across an ever-expanding range of cultural organizations and initiatives was the task of the kultur-tuer. There were men like Aaron Fishman, a dental technician by trade and fervent Yiddishist. According to his grandson, the abovementioned historian David Fishman, Aaron “was secretary of the Yiddish Culture Organization in Philadelphia and organized all the events there for Yiddish writers from New York, including having them stay with him in his home.” Workers, students, shopkeepers, and other “everyday Jews” like Aaron Fishman founded and ran countless local chapters of the new cultural organizations, volunteered as zamlers (volunteer collectors of ethnographic and cultural material), and later compiled most of the hundreds of yizkor books memorializing the European Jewish communities destroyed in the Holocaust. Other kultur-tuers, like Moyshe Shtarkman, made a living as professional intellectuals, but few had the option of obtaining a formal degree, landing an academic position, or sticking to a particular specialty. Nor is it clear they would have wanted to. They preferred to contribute to media that reached a large, popular audience, and they were committed participants in the building of Yiddish culture. Famous poets started magazines, lexicographers did outreach, eminent critics moonlighted as schoolteachers, everyone was on the radio. Despite an undercurrent of anxiety about “professional” standards versus “amateur” enthusiasm, the DIY kultur-tuer scene was flourishing, and Yiddish culture along with it. פֿון קינדװײַז אָן, געװען אונטערן אײַנדרוק, אַז יעדער אמתער ייִד דאַרף ספֿרים שרײַבן. From childhood on, I was under the impression that every real Jew has to be a writer of books. So wrote Moyshe Shtarkman in a 1957 letter. And indeed, from the age of seventeen, he was almost constantly publishing. האָבן מיר געהייסן אויפֿהערן זיך דרייען אַ קאָפ מיט „שטודירן“, און בעסער נעמען צו פֿאָרש-אַרבעט…. told me to stop confusing myself with “schooling,” that I’d be better off launching right into research. Auto-didacticism, followed by informal apprenticeship, was the norm. He took their advice and jumped into the frenzied cultural scene of interwar Yiddish New York, where he came to know everyone. Among Shtarkman’s papers (at YIVO) and personal library (at the Yiddish Book Center) are inscribed volumes from the poets Kadia Molodowsky and Rokhl Korn; tender greetings from the poet Abraham Sutzkever in Israel; a postcard from the novelist Chaim Grade; and the offerings of a hundred hopeful authors demurely begging for inclusion in Shtarkman’s weekly column on Yiddish literature, published for years in the New York newspaper Der Tog (The Day). 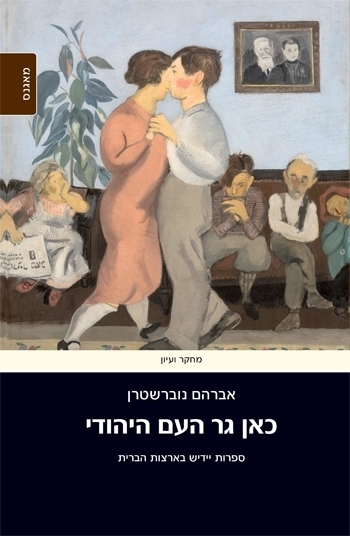 “Moyshe Shtarkman was an institution,” writes Dov Sadan in his admiring introduction to the Selected Writings, “to the extent that such a word, whose etymology is a close cousin to the word ‘stand,’ is actually appropriate for someone who was constantly in motion, buzzing with energy.” Any prosopography of the late Yiddish Republic of Letters—any study of its workings through the interlocking biographies of its unsung personalities—would have to begin with a figure like Shtarkman. He published everywhere, from the high-brow Tog to the anarchist Fraye Arbeter Shtime (The Free Voice of Labor) and the socialist Di tsukunft (The Future), not to mention serving as a correspondent for his hometown Zionist paper in Galicia and writing for Hebrew periodicals based in both Israel and New York. Famously fractious though “the Jewish street” was, a kultur-tuer like Shtarkman could still bridge many of its divides. Above and beyond any political commitments came a responsibility to Jewish unity and continuity, in both the institutional and intellectual spheres. Indeed, one of the great themes that emerges from the Selected Writings is Shtarkman’s belief in the essential unity of Jewish civilization in all its forms. 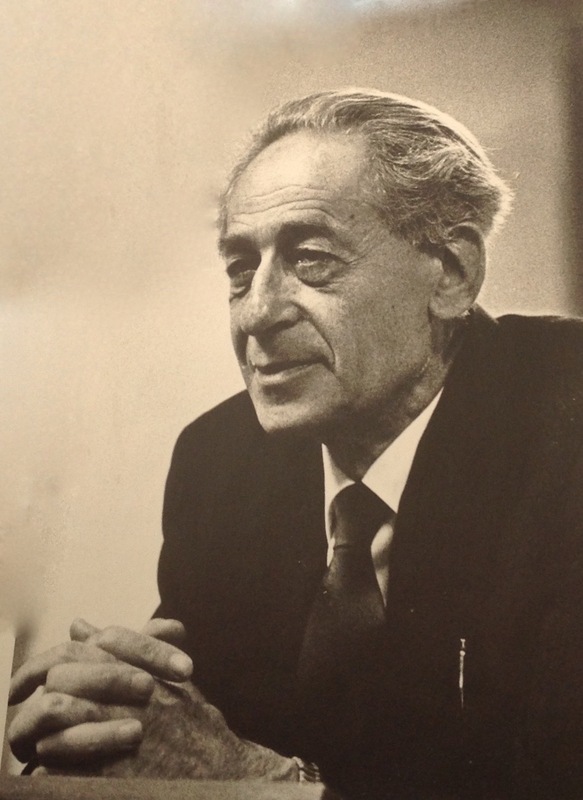 Shtarkman “always remained conscious,” writes Sadan, “of how his work related to an all-encompassing culture complex.” Interconnections and juxtapositions across Jewish history are at the heart of his work. “Talmudic learning and Hasidic philosophy, haskalah [Jewish enlightenment] and modern Jewish literature, and … the modern Jewish political parties and movements”—Shtarkman identified these as the major transformations inside the Jewish world over the past three centuries, and he was equally at home discussing all of them. פּונקט װי אַ מאָל פֿלעגט חסידות נעמען װעלטלעכע מעלאָדיעס און מאַרשן, און דורך צופּאַסן זיי צו די מעלאָדיעס פֿון זמירות… אַזוי קען חסידות איצט זיך באַנוצן מיט װעלטלעכע װערטער און באַגריפֿן צו געבן אַ גײַסטיקן תּיקון אַזעלכע ייִדן, יונגע און עלטערע, װאָס בלאָנדזשען אין די טונקלקײטן פֿון עצבֿות און ספֿקות. Just as Hasidim once borrowed secular melodies and marches and gave them the words of zmires [Jewish hymns] … so today can they make use of secular words and concepts, adding a spiritual dimension for those Jews, young and old, who are lost in the darkness of despair and doubt. A 1970 column on the High Holidays muses in turn on Jewish diversity in modern Israel and intermarriage in the Diaspora, before examining traditional Yiddish tkhines (women’s prayers). Another article pairs the Torah commentator Abraham ibn Ezra from medieval Spain with the poet Yehoash, who rendered the Hebrew Bible into lucid, compelling Yiddish in twentieth century New York. ייִדישקײט מיינט טאָגטעגלעך לעבן, פֿונעם אויפֿװאַכן ביזן שלאָפֿגיין׃ רעליגיע מיינט בלויז צערעמאָניאַל אין באַשטימטע מאָמענטן פֿון טאָג. Yidishkeyt means daily life, from waking up until going to sleep, religion means only ritual at pre-determined moments of the day. By the 1960s and ‘70s, this uncritical embrace of the past was draining the lifeblood out of the original kultur-tuer project, the quest to build a new, secular Jewish culture. In practice, “integral yidishkeyt” shaded into a post-Holocaust “yorstayt culture” to which some of Shtarkman’s later work contributed. In the absence of new horizons, the kultur-tuer focused his energy on celebrating fifty years since the launch of a minor publication, or marking a hundred years since the birth of a forgotten poet, or writing plaudits to Rashi or Bar Kokhba. Instead of creating a new culture, he commemorated and attempted the restitution of a shattered world. Shtarkman coauthored the yizkor book for his Galician shtetl; he compiled celebratory Festschrift volumes honoring three different colleagues; he devoted himself to the communal, encyclopedic task of the Lexicon. “More than once,” wrote the Yiddish linguist Max Weinreich in 1950 during the same period, “we have seen in Jewish history that shattered vases are made whole again: on the Euphrates, on the Ebro, on the Rhine, and on the Vistula. If only we wish it, why shouldn’t it be possible on the Hudson as well?” The illusory consolation of a Jewish longue durée was replacing the dream of revolutionary rupture—and the kultur-tuer was now a keeper of the culture. “We were, above all, creatures of culture, idolaters of words,” wrote literary critic Alfred Kazin in his memoir, New York Jew. “Words were our culture; culture had to do everything.” And this credo of a New York Intellectual, Yiddish-speaking but embroiled in the world of American letters, was an ongoing, distant echo of the kultur-tuer ethos. In the Soviet Union, where a policy of “mass culturization” made culture “a kind of civic religion” (in the words of the late historian Svetlana Boym), the kultur-tuer found a very different, hyperpolitical echo. State-employed “culture workers” (kultrabotnik, kultorg, kulturnik) enlightened the recreating masses at salubrious clubs, often in former churches and synagogues, now called Palaces of Culture. In the remaining outposts of the Yiddish Republic of Letters, the kultur-tuer model was embattled everywhere. On the one hand, it faced the demands of credentialing and specialization; on the other, a polarization between popular culture and academic elitism. It became that much harder—though Yiddish actors were still activists, novelists still ran newspapers, and everyone was a teacher—to mix Torah and travelogue, write one week on the Khazars and the next on Yiddish fiction, to keep up a passionate involvement in building up a culture word by word, meeting by meeting. In America, outside what Kenneth Moss calls “in dem yidishistishn/yidish-shprakhikn blezl” (the Yiddishist/Yiddish-speaking bubble), the very idea of building a full-fledged modern Jewish culture had failed to take hold. “As soon as things went over into English, it was a completely different story,” says Moss. Without a distinguishing Jewish language, “nation” and “culture” gave way to “weaker, more open” concepts like “ethnicity,” “Jewish civilization,” and “peoplehood.” Religion, ultimately, was the frame for yidishkeyt that would be “100 percent kosher according to the American way of things,” as Moss puts it. Perhaps only today, by a strange series of transformations, does it again seem possible and necessary to “do culture” the way Shtarkman did. The Internet has both challenged the illusory distinction between professionals and amateurs and given rise to new Republics of Letters. 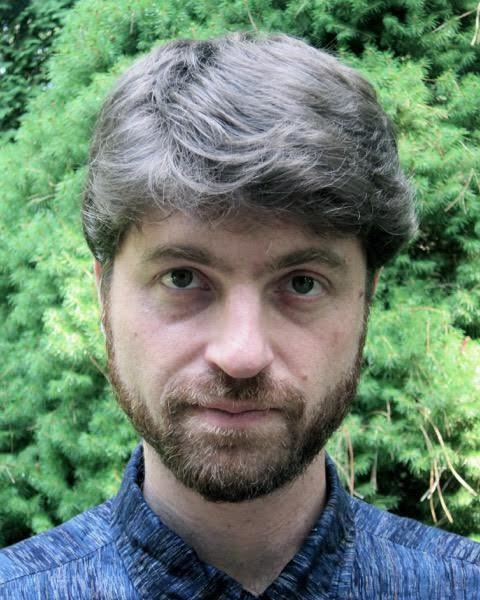 It isn’t hard to imagine Shtarkman blogging and tweeting his volleys of insights on Jewish culture. With the polestars of traditional media and the academic humanities in eclipse, there is space again in the middle, however precarious: a renewed fervor for little magazines, interdisciplinary experiments, the coupling of the written word with activism and nonprofit work. They may be building cultures (or subcultures) far removed from Moyshe Shtarkman and mid-century Yiddish New York, but new kinds of kultur-tuer, whatever they may call themselves, are just starting to appear. Perlin, Ross. “What was the kultur-tuer?.” In geveb, August 2015: https://ingeveb.org/blog/what-was-the-kultur-tuer. Perlin, Ross. “What was the kultur-tuer?.” In geveb (August 2015): Accessed Apr 22, 2019.